Gold prices edged higher in Asian trade on Monday as increasing tensions in the Korean peninsula and the Middle East continued to push investors into safe havens. The metal was also supported by China’s upbeat GDP and Industrial Production reports. According to the government, the economy expanded in 1.3 percent in the first quarter of the year, below expectations for a 1.6 percent build but a tick higher from the expected 6.8 percent growth in annual terms. Industrial production rose by 7.6 percent in March, while analysts had forecasted a steady 6.3 percent growth. 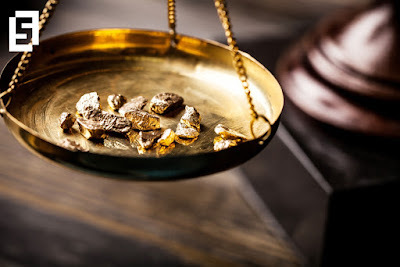 On the Comex division of the New York Mercantile Exchange, gold for June delivery was up 0.35 percent to trade at $1293.00 a troy ounce as of 04:15 GMT. Gold prices settled higher last week as the United States dropped the “mother of all bombs” in Afghanistan, rising uncertainty over president Donald Trump's next military moves. Initial jobless claims reduced by 1,000 to 234,000 for the week ended April 8, said the US Labor Department on Thursday. Data also included the producer price index, which came down a tick. The University of Michigan released its consumer sentiment index for April, which moved higher to 98.0, above expectations for a decline to 96.5 points. The US dollar index, which measures the greenback against a basket of six major currencies, traded at 100.31 as of 04:15 GMT, down 0.16 from its prior close. The yellow metal is denominated in US dollars. A stronger greenbacks makes gold less appealing for investors holding foreign currencies. Oil prices showed little losses on Monday morning as investors digested downbeat data from Baker Hughes oil rig count and with geopolitical concerns still present on the agenda. US West Texas Intermediate oil futures traded at $52.75 a barrel on the New York Mercantile Exchange, down 0.81 percent from its prior settlement. The international Brent crude oil futures rose 0.77 percent to trade at $55.46 a barrel as of 04:15 GMT. Crude benchmarks settled higher ahead of the Easter holiday, with Brent futures up 1.2 percent and WTI rising 1.8 percent by the end of the week. North Korea launched a ballistic missile during the weekend, although the test was a failure. This event increased geopolitical tensions in the Korean peninsula. The White House said no response was needed as the missile test was overall a big failure. According to the latest report of the International Energy Agency, global oil demand and supply imbalance was reaching break-even levels as a result of OPEC and non-OPEC production cuts. The renewal of OPEC-led output reductions remained in focus as investors US shale producers continued to add oil rigs last week, marking a thirteenth consecutive build. Baker Hughes released on Thursday its latest oil rig count, which reported an increase of 11 oil rigs for the week ended April 13, leaving the total count at 683 units.